KINGSTON, (Reuters) – Jamaica are banking on a mix of youth and experience to continue their dominance in the sprint events at the Aug. 22-30 world championships in Beijing event after some strong performances at its four-day trials. The full team will not be named until the Aug. 10 deadline but Shelly-Ann Fraser-Pryce, who scorched home in 10.79 seconds in the 100 metres, will lead the women’s unit even though no decision has been made about defending her 200m crown. 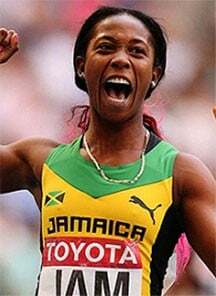 Fraser-Pryce, who has wild card entries to both events as defending champion, will be joined by Veronica Campbell-Brown, Sherone Simpson and newcomer Natasha Morrison in the 100m. Jamaica has had a stranglehold on the men’s and women’s 100m at the last three world championship but that could be under threat with six-times Olympic gold medallist Usain Bolt, who skipped the trials, yet to round into top form. 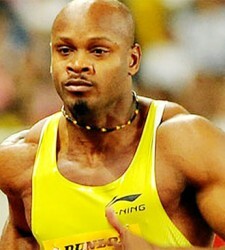 However, former world record holder Asafa Powell, who has twice run 9.84 seconds this year, most recently on Friday to the win his sixth Jamaican title, will join Bolt, Commonwealth Games Champion Kemar Bailey-Cole and Nickel Ashmeade. “Well I’m definitely not going to China to lose, So I would definitely consider myself the favorite,” said Powell, a two-time world bronze medallist. The former world record holder has never won individual gold at the worlds or Olympics, even when he was considered a pre-race favorite in the past. Powell is optimistic that Bolt will return to form. “He (Usain Bolt) has a way to go and I think he can come back for the world championship,” Powell said, adding that he’s no longer worried about the make-up of Jamaica’s sprint unit. Jamaica will also be banking on newcomers Omar McLeod who logged a world-leading 12.97 in the 110m hurdles, rising star Elaine Thompson, who won the 200m, and Moscow half lap silver medallist Warren Weir to do well in Beijing.